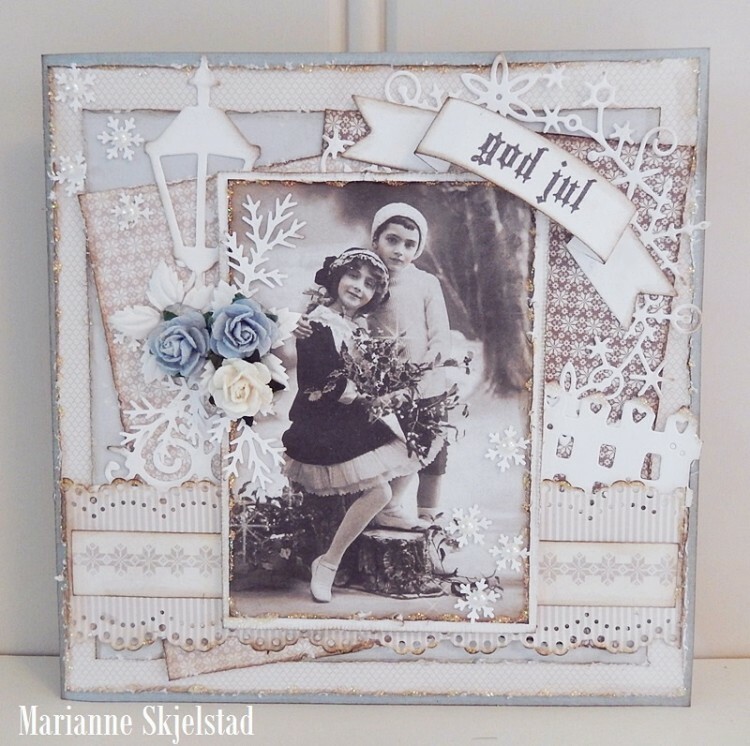 Here is a Christmas card made with papers from the two latest Christmas collections. One of the best things about Pion papers is that the different collections can be combined so perfectly. I have also used the Palette collection since they are such a perfect match to the patterned papers. The vintage image is from one of the brand new image sheets. Such a lovely card with lovely details! How fun! !